It is situated above the Tomorrowland Transit Authority, so you can get some good views of the park because of the height. It isn’t so fast that you are going to make yourself sick, and you can get good pictures because the speed isn’t so great that your camera can’t focus. Being so high up, you get to the attraction by elevator, and the loading process is very slow, which leads to long waits. The rockets are not very big, so for people like myself, it’s a tight fit. The ride doesn’t last very long, so it seems like a long wait for little reward. 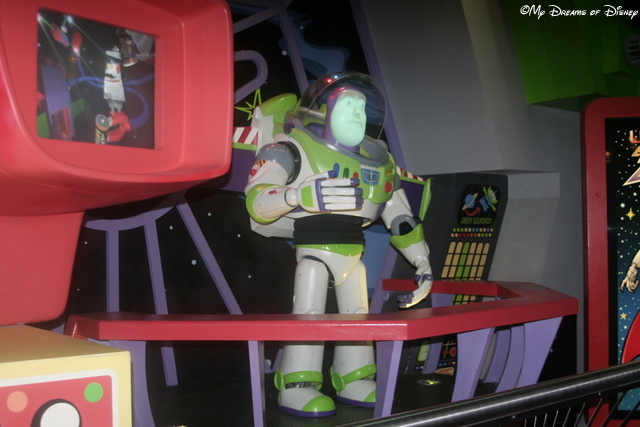 While I do like the attraction, it isn’t my favorite, and I’ll gladly choose the TTA over the Astro Orbiter any day, and twice on Sunday! 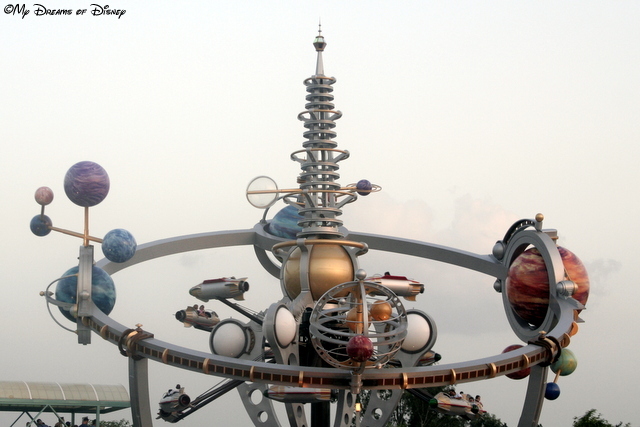 Do you and your family like the Astro Orbiter? Let me know in the comments, and thanks! Location: Fantasyland, with stations at Frontierland and Main Street, U.S.A. as well. For a little Disney trivia, can anyone tell me why they close the Railroad prior to Wishes? It’s not a hard one, but the interesting thing about Wishes is that it takes place all around the park, and a lot of the staging areas for the famous fireworks show are on the other side of the railroad tracks. As a result, the railroad is closed down for the night for safety reasons so that they can perform Wishes. For a nice, relaxing journey around Walt Disney World’s Magic Kingdom, I can think of nothing finer than a trip on the Walt Disney World Railroad. Thanks for stopping by! 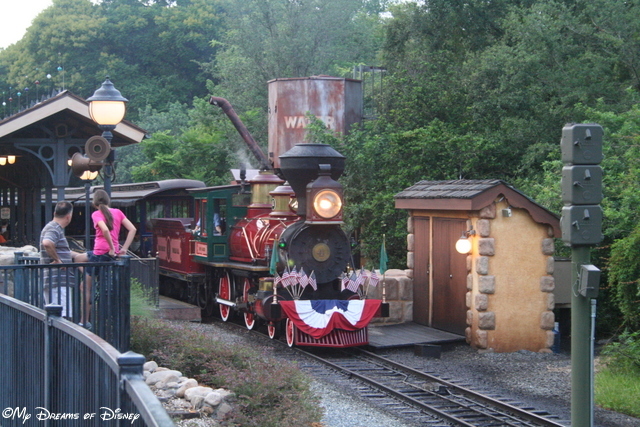 Let me know in the comments whether you like the railroad or not, and have a great Disney Day! As we continue our Magic Kingdom Attraction Guide series, today we are taking a look at one of the last, if not the last, part of the Fantasyland Expansion to open. 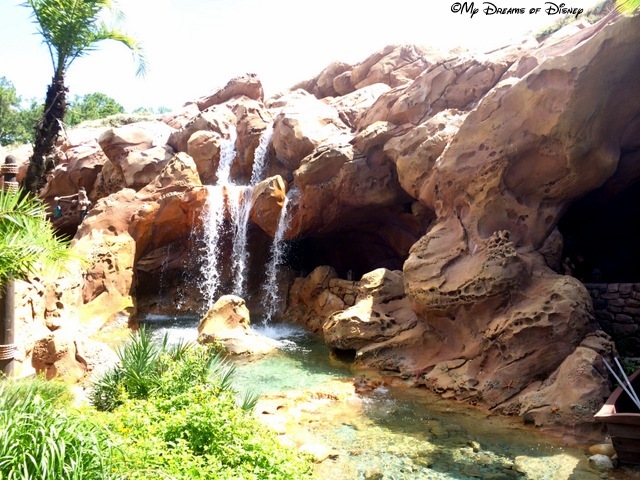 Today we are sharing the details on the Seven Dwarfs Mine Train with you! Without a doubt, the Seven Dwarfs Mine Train is the best part of the Fantasyland Expansion for me. This coaster is a great attraction, and the Imagineers have gone all out in their attention to detail and theming to be found throughout the attraction. With FastPass+ service available, this is one of those “must do” attractions that, if you don’t ride, you will probably regret having not done so. 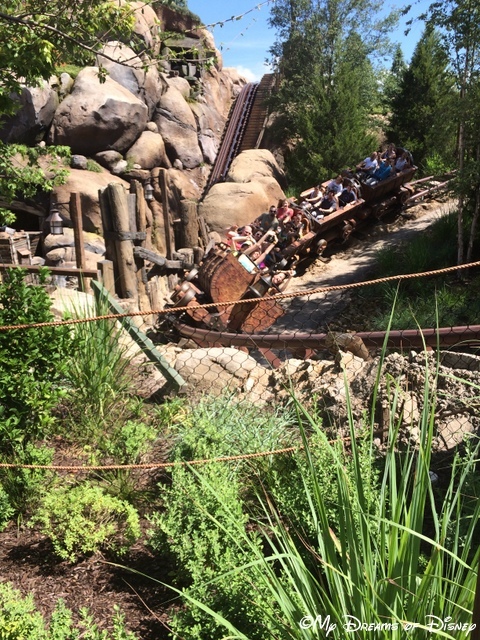 Have you been able to ride the Seven Dwarfs Mine Train attraction yet? If so, what did you think of it? Among my favorite parts is singing along with the Dwarfs as they go off to work, and also making the car swing as much as possible through the curves! Thanks for stopping by, tell me what you think of the attraction in the comments, and have a great day!